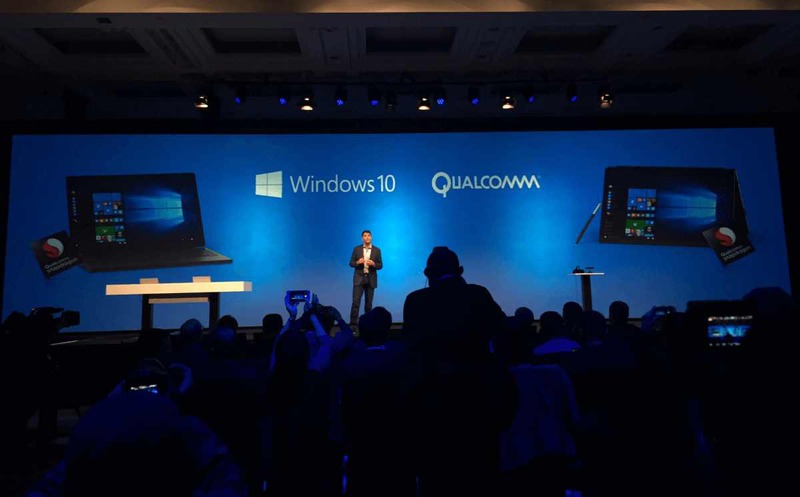 Microsoft has announced that Qualcomm Snapdragon processors are adding support for Windows 10. Soon you will able to run Windows 10 x86 (32-bit) on ARM-architecture processors. With next-generation ARM CPUs, Windows would be able to run on Qualcomm CPUs with full compatibility. Qualcomm next-generation processors will be able to run Win32 apps through x86 emulation on Windows 10. In future, Qualcomm’s Snapdragon mobile phone CPUs will able to run powerful desktop apps such as Photoshop or the Office suite. Previously, Microsoft tried to run Windows on ARM devices, though the first attempt was less than successful. Problem was that developers had to rewrite their applications for compatibility with the ARM-based OS called Windows RT at the time. The current generation ARM chips do not support Windows 10 applications. New chips will need to be made for this type of compatibility. Qualcomm’s compatibility with Windows 10 will be thanks to the emulation of the x86 architecture. According to Microsoft and Qualcomm, Snapdragon processors powered Windows 10 PCs could be available as early as next year. Microsoft Surface Phone could come next year with a new Qualcomm Chip with Windows 10 support.